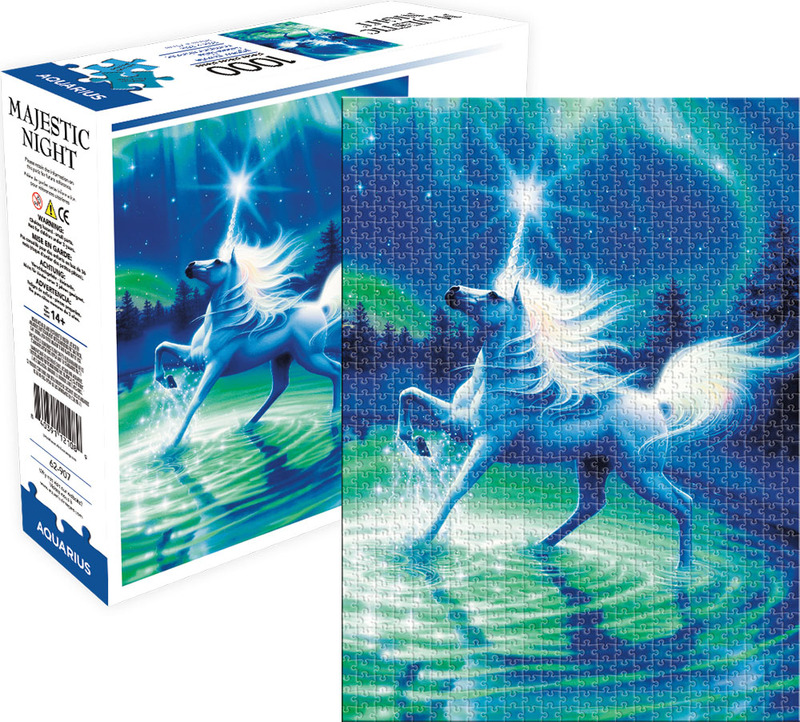 Majestic Night by Aquarius Puzzles is a beautiful new 1000-piece jigsaw puzzle featuring a stunning unicorn in a midnight lake! This image is rich with deep blues and greens giving away to amazing detail of one of the most fabled creatures in fantasy. Moonlight shines down on this unicorn as it dances in lake with a glow of magic casting a star of light from the tip of its horn. The Northern Lights glow in the background adding depth to a beautiful image worthy of framing! Beautiful details bring this creature into focus revealing its realistic features that will make you feel as if you are watching the unicorn with your own eyes.